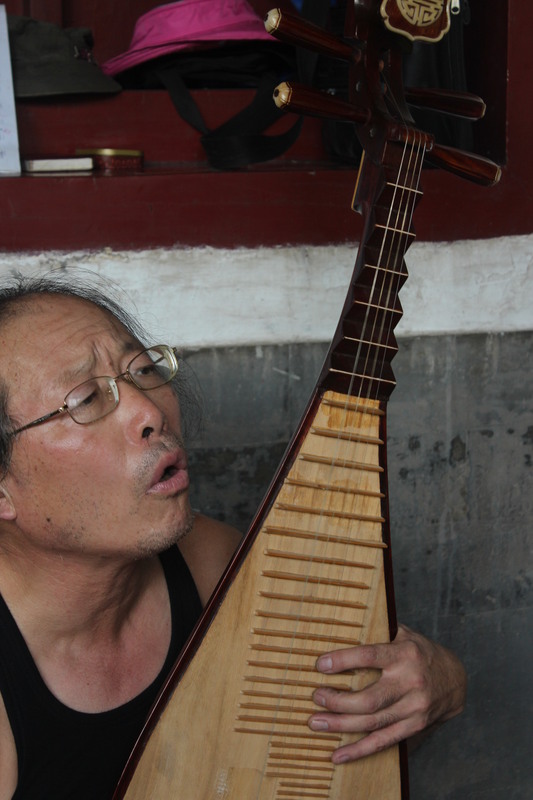 Who are the people of Beijing? It’s hard to trust official statistics, but there are definitely more than 20 million people who live here. Some are modern independent businessmen, and others are struggling to make it on less than $200 per month. Some embrace traditional Chinese values and Communism, while others choose a Capitalistic approach. 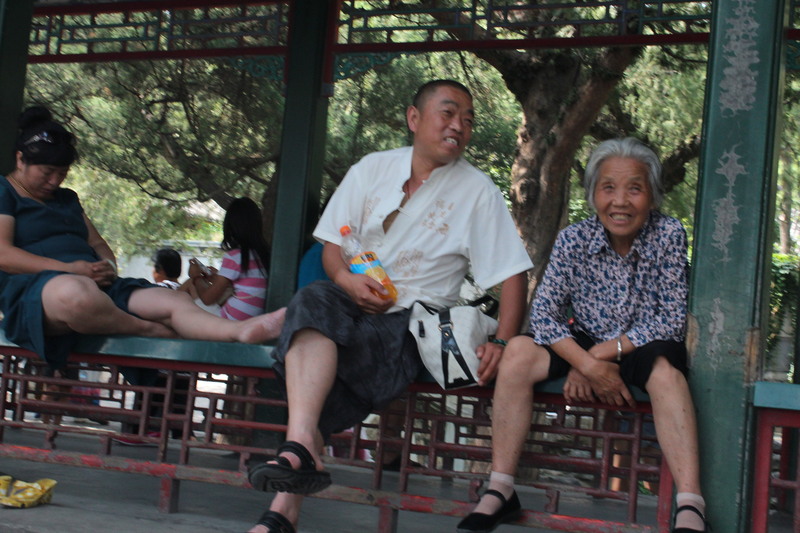 Many are only children, having grown up with China’s “One Child Policy.” Even though most people in Beijing look “Chinese” in race, there are a lot of other ways that they are a diverse population. I’m no expert, but I can share some of my observations about the people that make up this huge city. Everyone has a cell phone. 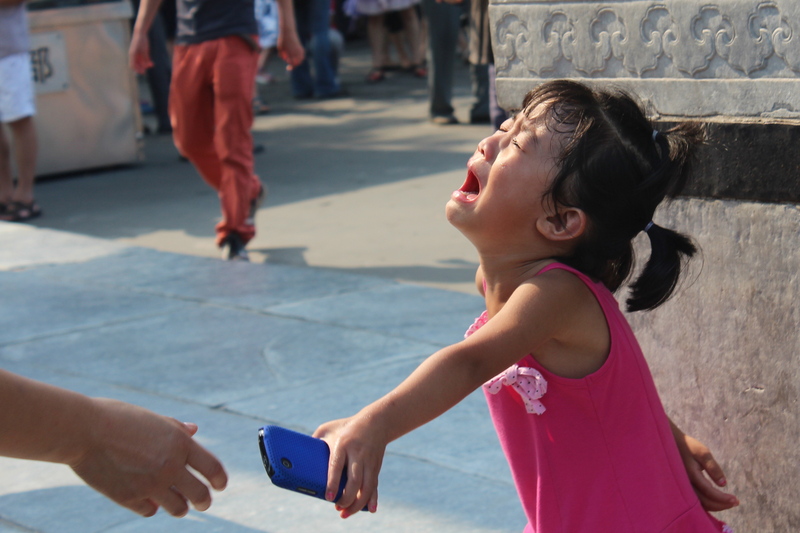 Today, I saw this little girl crying over cell phone time. The subway is always packed, and always a fun place to people watch. 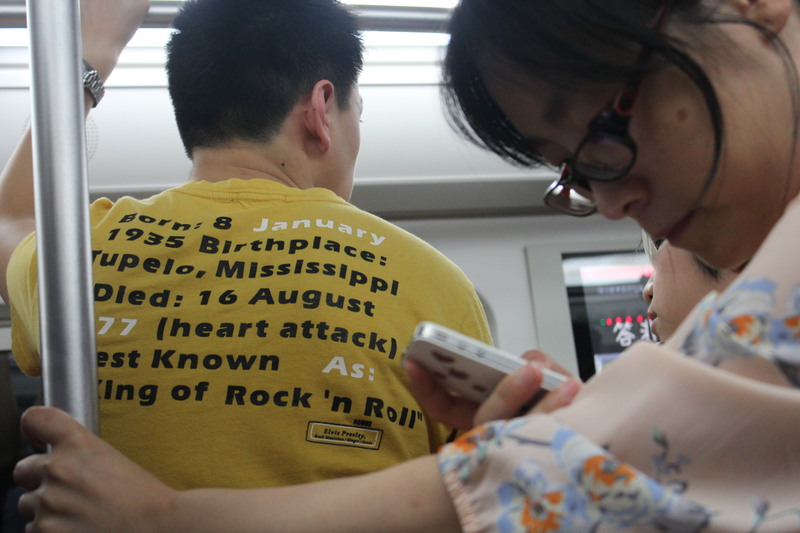 This guy had a shirt giving facts about Elvis, which he probably doesn’t understand. 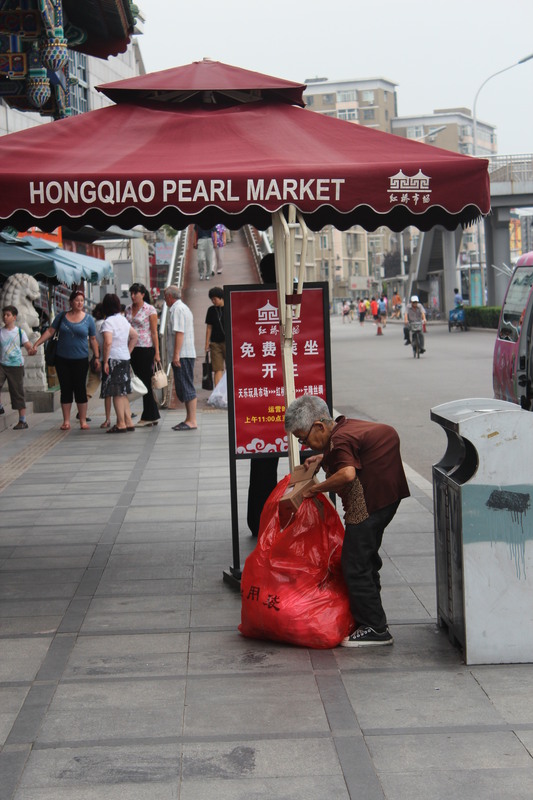 There are many older people who collect bottles and get little amounts of money to recycle them. It’s always fun to see all of the unique artists who sell their crafts on the street. 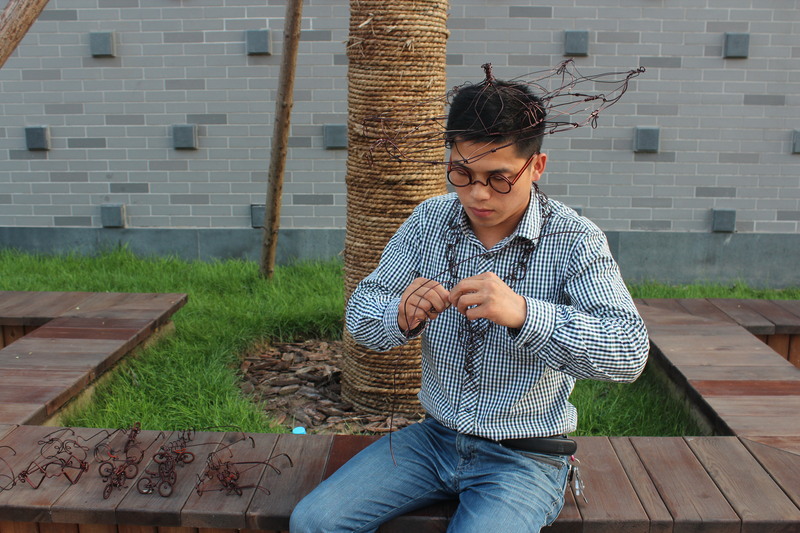 Some are traditional, like Chinese knotting, but some are more modern, like this guy selling wire sculpture. It’s always a treat to see street musicians, and it’s even more sweet to see that they often aren’t asking for money. They just want to share their talents. 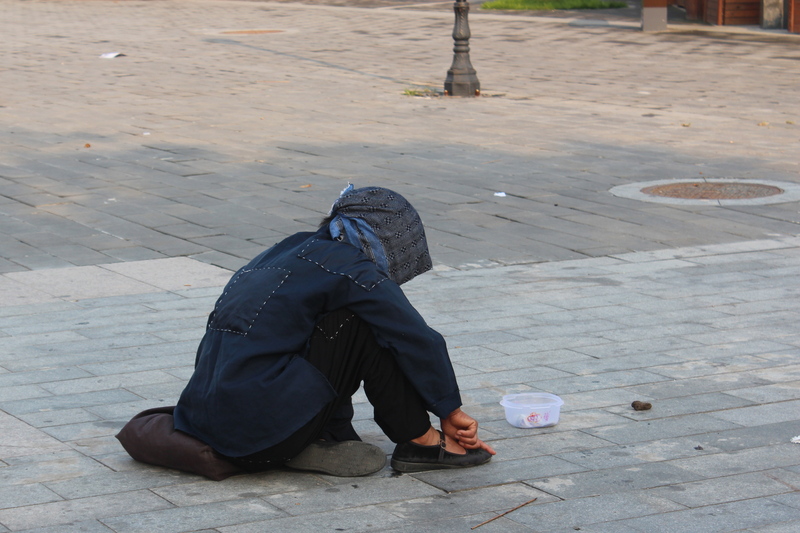 There’s poverty everywhere, and it can be hard to walk by and see this. 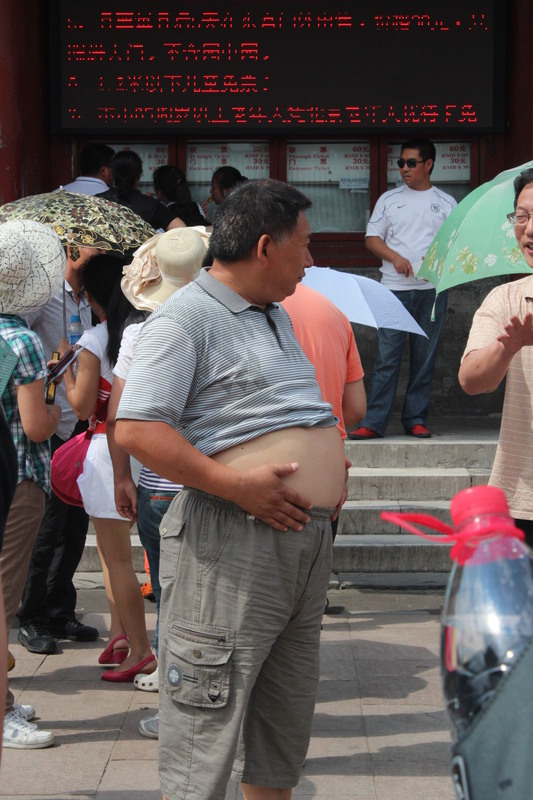 It’s very common for men to lift their shirts here and walk around in the hot weather with bare bellies. Smiles are universal. There are some ways to connect without any language at all. Some of the fashion that I’ve seen here is pretty amazing. The arm bands are popular, maybe for sun protection? And Chinese people are not afraid of color. 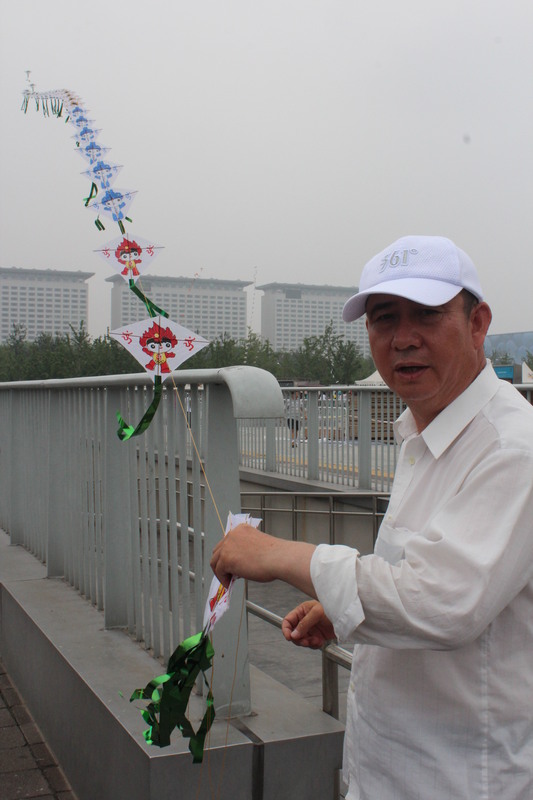 Want to buy a kite? Haggling here is an art. They say 40 kwai, and you should say 10 kwai. In China, building relationships is important, so bargaining is a process of building trust between the salesman and the customer. It’s rare to start haggling with one person and end up buying from someone different. 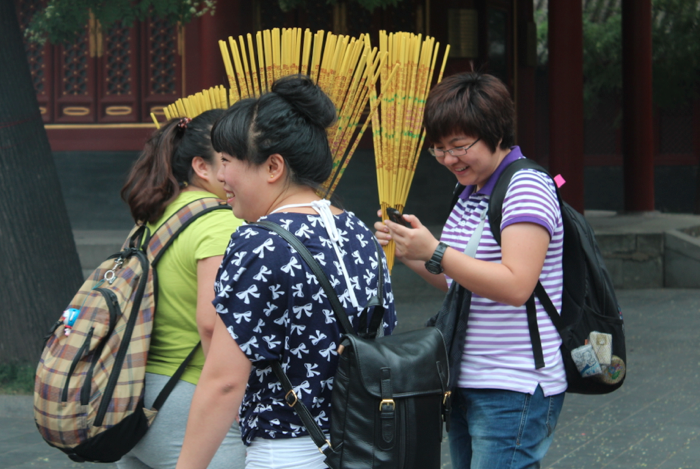 Most people in China say they are non-religious, but many still go to Buddhist temples and pay their respects with incense and bowing down to statues of Buddha. Pretty cool!! Nice pictures, Ms. Krakauer!! You’re right, there are many different people in Beijing. I think the picture with the shirt with the Elvis facts are pretty cool, and funny! It’s sad that he doesn’t know what they mean. I feel really bad for the older people who get so little money just to recycle, and the people who are suffering from poverty. Did you can help them? But I think the picture of the guy making wire sculptures is really cool!! I saw in the photo that he makes bikes, glasses, hats and necklaces, does he make anything else? Nice picture of the smiling people! I’m glad there’s a lot of smiles here and there. Did you take that picture at the Summer Palace? I don’t know if arm bands are popular in Beijing, I don’t think I’ve seen them before. Maybe they ARE for sun protection! That kite is super cool!!!! Is it hard to fly it? And I didn’t know that building a trust between a customer and the salesman was important! But I think I’ve seen some haggling in Beijing. Maybe the people in China (despite being non-religious) still respect Buddha, maybe that’s why they go to Buddhist temples every now and then. If I were them, I’d go too. Nice post. I enjoyed the little slices of life, especially the Elvis shirt! Its cool to see a snapshot of walking through the streets, speaking of sun protection.. is it hot there?